StarOne was one such channel that gave plenty of opportunities as a Director of Photography or any creative person for that matter with the kind of shows they came up with. When I first saw Guns and Roses or Family Business, as a maker I myself was totally impressed by the contrast lighting, the rich look and feel. One had to have guts to want to try shows like that.Those are the kind of shows, one dreams of doing, since there is so much one can do as a DOP. Hence when I got my chance to do shows on StarOne, it was but obvious that I would grab the opportunity. During my stint with StarOne that has spanned over 3 years I have shot over 1000 episodes, where I did shows like Sshhh Koi Hai, 500 Episodes of Miley Jab Hum Tum and around 500 episodes of Geet. I have also shot a couple of sequences of Love Ne Mila Di Jodi. As I look back now, I feel honored and also proud of myself for having worked on shows such as this that have gone on to become so popular. StarOne as a channel being pulled off came as a huge disappointment, because, it was welcome change for those like me that didn’t want to try mundane stuff on TV. Some people I cant fail to mention are Nikita and Rohini from Star. They were outstanding. The way they worked on the shows, made all the difference according to me. I feel, however I did my best work with Geet. It was like an all new beginning. When I see the way dargah sequence was shot even today,I feel thrilled at the amount of variety we have tried on the show. Even now when I get compliments on how Geet was a “look good” show, I always aspire to get similar recognition for my other work as well. 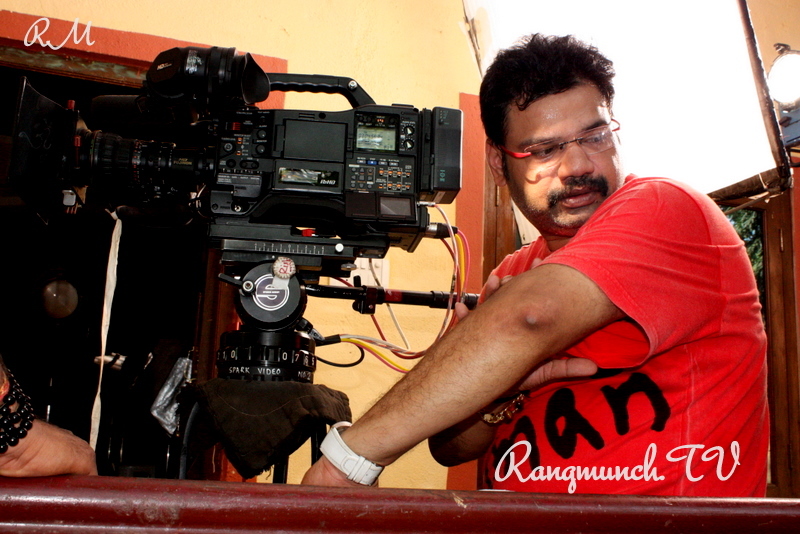 Other DOP’s call me and tell me, how they love my work and it boosts me. When ever I am down and out, I make it a point to sit and watch Dulhe Ka Sehra, and that instantly peps me up and I tell myself “Nahi Hrishi, you can do well” and I am smiling and geared up again. Whenever Nissar(Parvez) and I discuss a new concept we try and design a unique look for each of our shows. Like for instance after an extremely glossy show with all good looking people on Miley Jab Hum Tum, we we tried to keep the initial look of GEET very simple hence we went ahead with very natural and realistic lighting. In the Hoshiarpur sequences we had hard lights coming into the house. By the time the office sequence came, the set up changed and we swicthed to the look good module. Alot of effort goes into making a show look a certain way, Rohini, Gul, Richa from Endemol have all done their bit so perfectly, I think its ultimately team work that has paid off. Everybody feels bad when a show comes to an end, but we also are often told its a part of life. May be it is, but for me the last day on the sets was extremely depressing. I was totally emotional. I remember this happened even when Miley Jab Hum Tum ended. Fans were very unhappy. But this time, it was StarOne as a Channel that was going off as well. So it was hard on all of us. I however fondly look back and think of how I was a part of two hit sagas on this Channel. On the last day when I shot the close ups of Gurmeet and Drashti, I got very emotional since I instantly remembered their first shot and how they were then and realised how time has passed! All of the sequences I had shot with them came back to me, Kurbaan Hua, The Dargah Sequence, the wedding. Since I was one of the first members of the team, I think it was extremely hard for me to let go. You know, if the same team gets together and works together again it will rock. 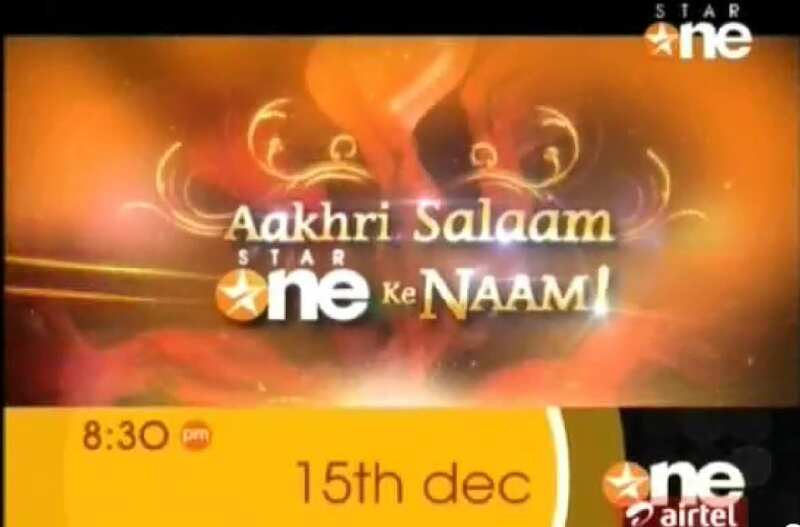 The Aakhri Salaam promo of StarOne actually got me so nostalgic, it was like the end of an era! Memories of the shows I have worked on will always stay and I will always feel proud of the fact that I have worked on two shows on the Channel where I came to know how people took interest and paid attention to lighting and all the effort that goes on behind the camera! I am really going to miss Star One. As usual the first few words are always the most difficult. Star One…. Pheww! It actually took some time to sink in that it doesn’t exist anymore. Its my usual habit to switch on the TV and get to Star One, just to have a casual look at it. But today morning, the 18th of Dec, when I did that, it just didn’t show up. It wasn’t there. Then I realized the logo has been changed, and its a new name too. Life OK. I was frozen for that moment. I think it was 5 years back, when I had got a call for this show called Koi Hai, and I had just taken up an episode of that and it was pretty interesting, one thing led to another. One good episode of Koi Hai got me another, and it went on, and then the channel offered me Dil Mil Gaye. I still remember, in my first meeting with Star One, the Channel Head looked at me and said, you are Nissar? You are so young. I think she had doubts in her mind whether a young guy like me will be able to pull off Dil Mil Gaye. On the other hand, I thought, youth show young director nahi karega to kaun karega. I smiled on my own. Next meeting I made sure I had a lil beard. Haha!! I was confident that I was doing it, and I did it. Honestly, I had never thought that Dil Mil Gaye will become so popular. It was crazy and it was pure magic. You wont believe this, the core team still messages each other the lyrics of the song. For eg, someone will just sms, hum to chale they dost banke, and then someone will add in, jaaney kahaan dil mil gaye, and it goes on, until we have the entire song. That’s the connection. All of us working on Star One were very emotional people, very very passionate, mad people. We were stupid fools. Hahaha!! We used to fight like crazy. All of us had a love and hate relationship, and this happened only because we were equally mad for our shows. We used to literally kick each other, pull each others hair etc, not talking for a few days, and then each one waiting for the other to break the ice, and we start off again, we hit off like there was never an issue. Hahaha!!! It was pure madness. Rohini, Palki, Amita, Nikita, Nitin, Anand, Gul, Richa, Rishi, Neeraj, and many more. They were the mad caps. I had always heard women can be dangerous. Had experienced it for the first time. lolllll. They will kill me if they read this. As I was doing DMG, I was offered Miley Jab Hum Tum. The idea of going back to college excited me. I grabbed the opportunity. It was lot of fun doing Mile too. It was a young team again and new madness. We all just loved taking challenges. We were scared of monotony and as it was getting a lil monotonous, we decided to shoot a song without a cut. We did ishq hua and we actually achieved it. It was the pure madness of our core team, myself, Ravi, Richa, Nikita, Rishi, Neeraj and my Producers Seema and Sudhir for showing faith in us. What next????? This is something that just keeps popping in my mind every now and then. I think it was November 2009. I got a call from Rohini, and she said she has something interesting. I had no idea at that point that “that something” will turn out to be GEET. We formed a team. 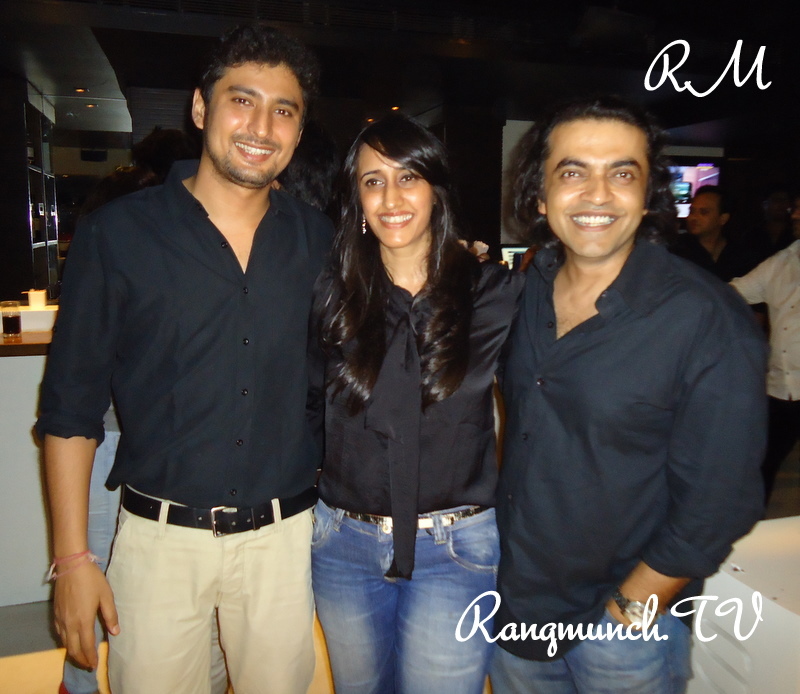 Gul agreed to Produce it and with myself, Richa, Rohini and Rishi on board, we were all set to launch another one. It was an experiment and it was too dramatic to the taste of StarOne. But we kept that thought aside, and we all got in with full conviction and honesty and started the search of our protagonists, and that just wouldn’t end. We kept looking and looking and looking, untill we zeroed on Drashti and Gurmeet. Yes!! Our favourite Maaneet. There was a lot of rawness in their chemistry that really excited us, and gave us a lot of hope. But to our disappointment, the ratings were not too great initially. But we didn’t panic too much as it was expected since we all knew it was an experiment. Soon it was decided to shift gears, and get a lil of the Star One flavour. Geet was moved to Delhi, she lands up at Maans office, and we decided to do a song kurbaan hua. That was it!! I never had an email id and so never had a Facebook account. I know its funny. Haha!! One fine day , my friend Gorky told me “why don’t you open an email account and a Facebook account?” I gave it a thought, smiled at him and told him, “will u please open one for me.” He happily agreed. I was technically challenged. Haha!! Till this point, I had no idea about this parallel TV industry that goes online. I was shocked to see the madness and the passion. I suddenly started having doubts on my own creativity. People were so into it. During my making of all my previous shows, I kept hearing of the popularity online, but always preferred to stay away from it. I think I always took work as worship, and so was always very conscious of any external elements diluting my passion. Haha!! Stupid of me. Now that I scroll up , I actually wrote quite a lot. Well I think it has finally sunk in, and so the words. Its been a beautiful journey that I will cherish for the rest of my life. Whatever lil I am today, is because of Star One, the kind of trust it had shown in me, time and again. Star one has definitely given me the motivation to do many more exciting shows in future and I really hope I am able to live up to the expectations. Its a huge challenge for us, as we have a new platform now. But hopefully, with all the love and trust that all of u have in us, we should be able to do it again. I am sure there is a new Star One somewhere gaining momentum. Will meet you there guys. Getting late at work. Time to say goodbye. 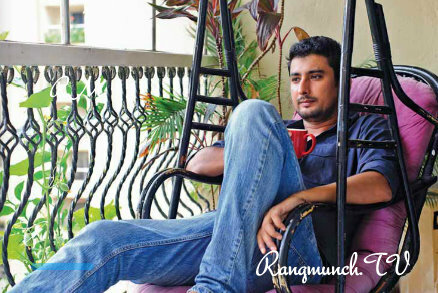 Rangmunch.TV would like to thank Nissar for sharing his StarOne experience with us. 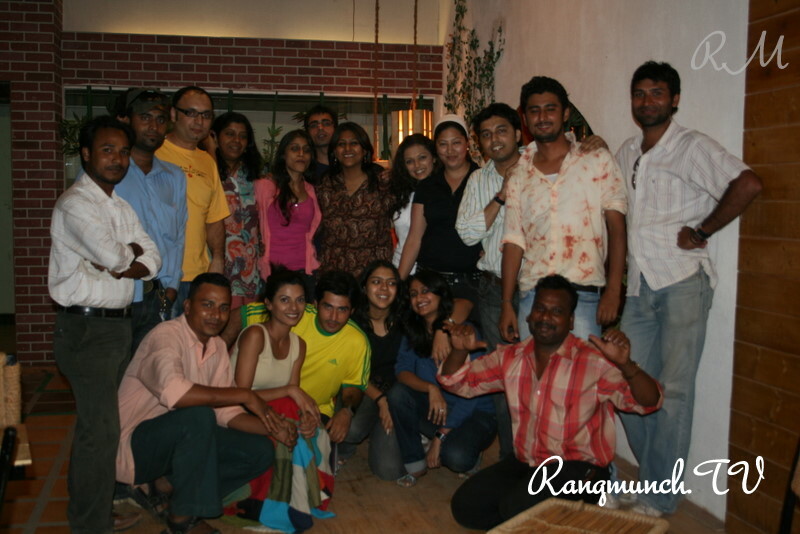 Many such stories coming exclusively on Rangmunch.TV, so keep logging back in!